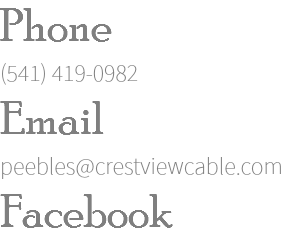 Custom woodworking will showcase your individual style with quality and usability you won't find in ready-made products. 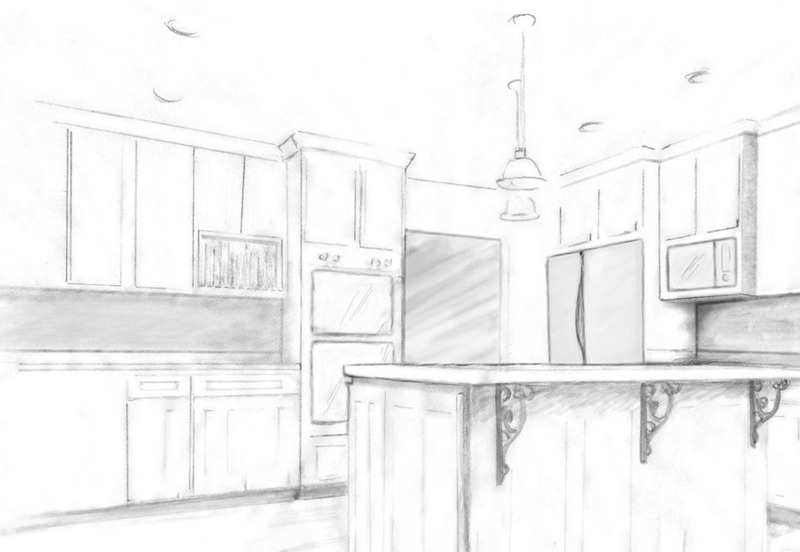 "Since our first project in 1993, our goal has always been to give our customers beautiful and creative woodwork - whether it is a basic kitchen upgrade for your starter home, or a complete cabinet and wood trim creation for your dream home. We've kept our business small so every job is under our complete control and gets our personal attention from start to finish. We can add unique touches to basic designs, or work with you to create the entire project from scratch so that the finished project will be a work of artistic design and easy functionality that will work for your family for years to come." Cherry custom cabinets and trim including window trim so entire space has a cohesive look and feel. Walnut all custom including appliance panels. Custom crown molding. Custom wrapped window trim matches cherry cabinets creating a single design unit. Custom cherry cabinetry with details like custom chunky corbels add flair. Octagon house created special challenges for this kitchen. Maple cabinets with custom faux finish. 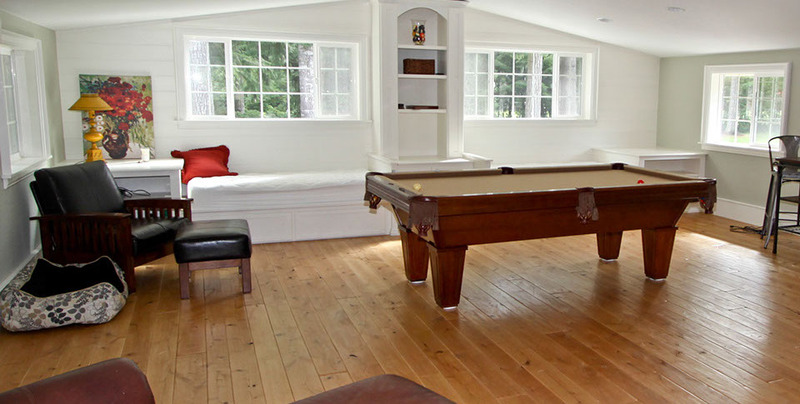 This gameroom includes custom Peebles flooring and creative details like hidden pool cue storage. Alder and walnut custom woodwork with creative details like the repurposed vintage window. Walnut barn-board island with an authentic old-school look and custom corbels. Detail of gameroom showing day beds with cleverly hidden pool cue storage in the center. Giant custom French doors into master bedroom utilize antiqued mirror in place of glass. 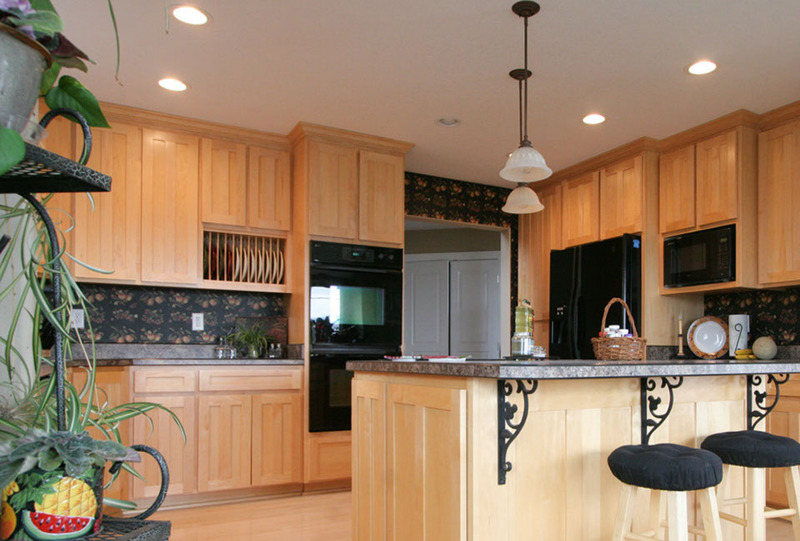 Breakfast bar hides away with doors closed and includes cast-iron details with knotty alder. Painted and distressed custom cabinets accented with door that looks old, works and feels new.